Holbury Tool Hire is a well established company with over 30 years trading in the industry. 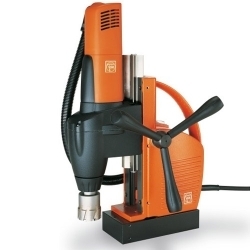 We specialise in mag drill hire for engineering and construction. Covering the whole of the UK, we offer first class hire services for the full range of mag drills. All equipment is available with next day delivery before 10am. We also stock an extensive range of rotabroach and drilling consumables for sale. Call us today and ask about the discounts that are available for long-term hire on 02380 891839. Please see our complete list of tools below.